Slugcats are small nomadic creatures, frequently considered a tasty meal for hungry carnivorous beasts. As a group, slugcats make for more difficult prey; they are known to be especially cunning and protective of their kin, even going as far as to use weapons to fight back against larger foes when necessary. So while slugcats are very low on the food chain, they are often able to work together to stay out of harm’s way. This was true for our slugcat hero―until the rains came. Carried into a strange land of industrial ruins, you must journey ever farther for sustenance and shelter. Use stealth, wit, and well-timed pounces to capture and feed on prey while constantly keeping an eye out for larger creatures who are doing the same. In Rain World’s living ecosystem, creatures act according to their own survival instincts and learn from each encounter. Climb through the ruins of an ancient civilization, evade the jaws of vicious predators, and discover new lands teeming with strange creatures and buried mysteries when Rain World releases on March 28. 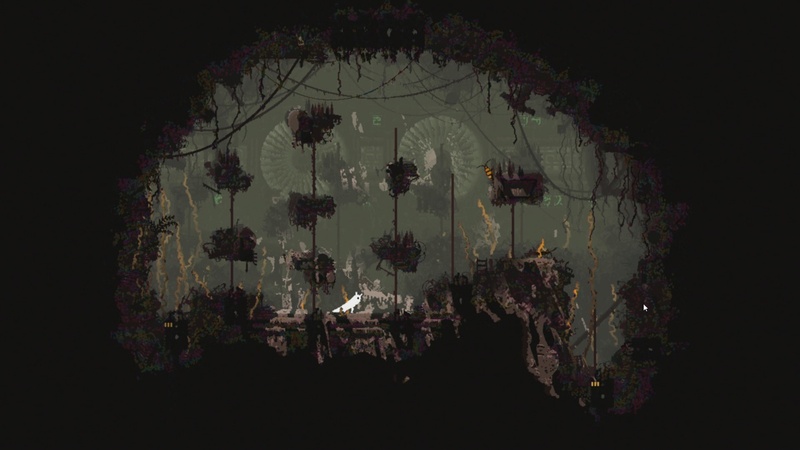 Pre-orders for Rain World are now open on Steam and PlayStation 4.